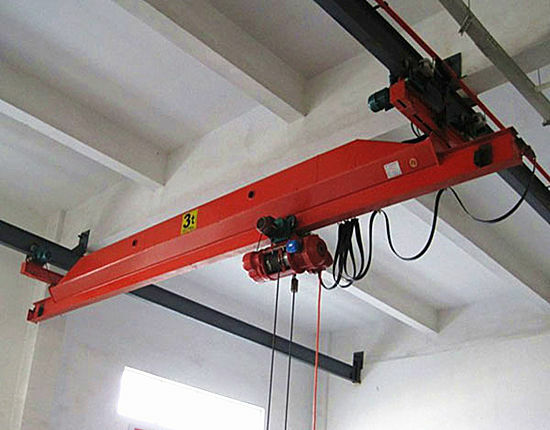 Electric overhead crane is an efficient lifting solution for the manufacturing industry, across a wide range of workplaces such as warehouse and workshop of assembly lines and production lines. 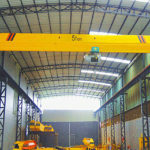 The overhead crane makes full use of the available building structure and removes obstacles caused by the limited or inadequate floor space, effectively reducing the possibilities of accidents occurring. 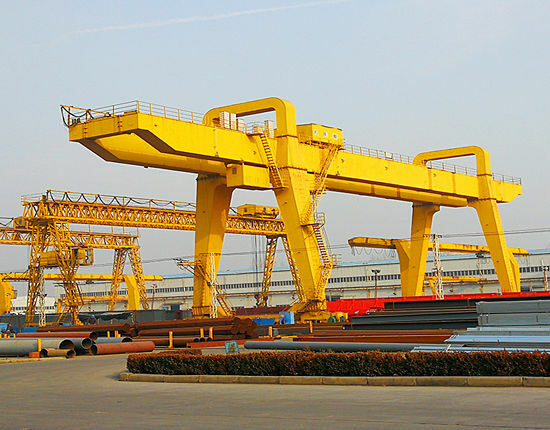 The electric overhead cranes travel along the runway beam to move loads, and the design varies widely in different operational requirements and applications such as the type of load, lifting capacity, operation method, building structure and working environment. There are a large variety of overhead crane types to meet numerous lifting requirements, mainly designed in single beam or multiple beams, top running or under running. 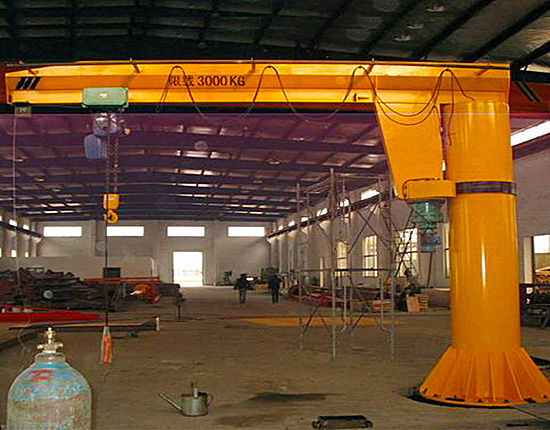 There are also some other options of the overhead crane structure. When selecting the over head crane, you should consider your practical need so as to choose the one exactly you want. 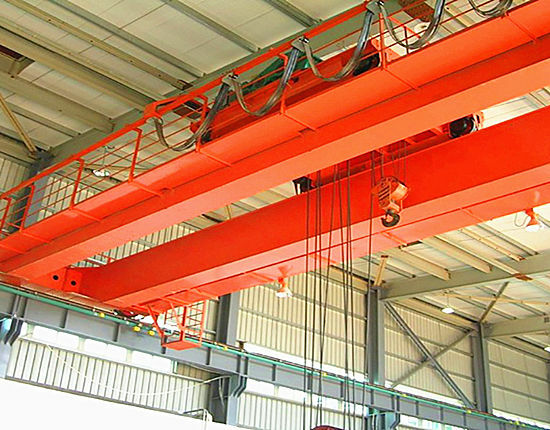 The single girder overhead crane consists of one beam supported on the end trucks. It is commonly used to lift lighter loads, whereas the electric overhead double girder crane is used for moving heavier loads. Both single and double girder are equally strong as the single girder crane may adopt a stronger beam. 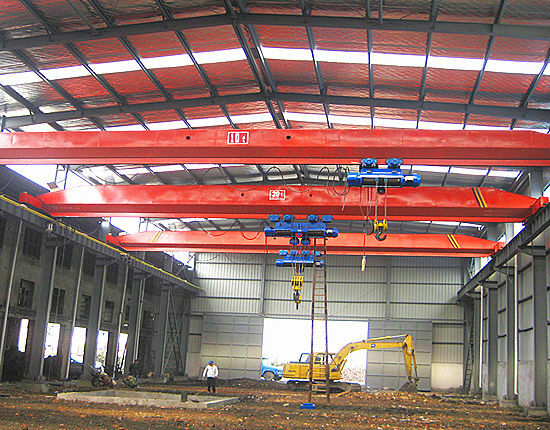 The single beam overhead crane has a simple structure and easy installation, and also costs less in many ways, while the double girder overhead crane can reach a higher lifting height, and help spread the stress evenly, effectively increasing the durability of service life of the crane. It is especially a better option of workplaces with frequent and constant use. 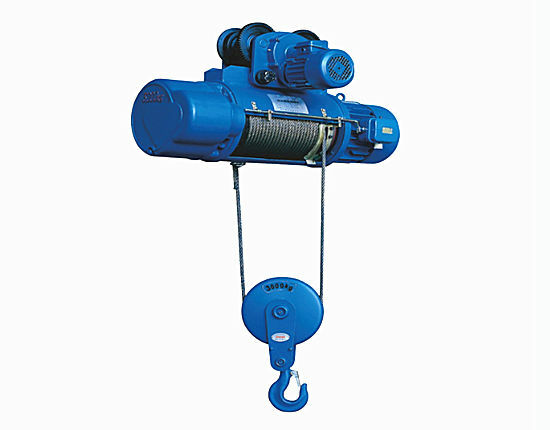 We also provide options of electric hoist, including wire rope hoist and electric chain hoist. 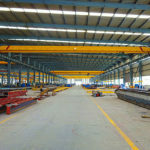 Another configuration for the overhead cranes includes top running and under running, and customers can choose either of them according to their facility condition such as the building layout and height. 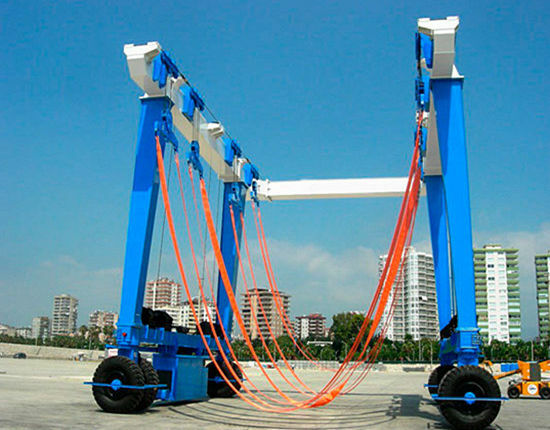 The top running crane is the most commonly used type, which is mounted on top of runway beam supported by building columns or engineering columns. It can reach a higher lifting height. In contrast, the underslung crane runs at the bottom flange of bridge girder and typically hangs from the existing building roof structure. 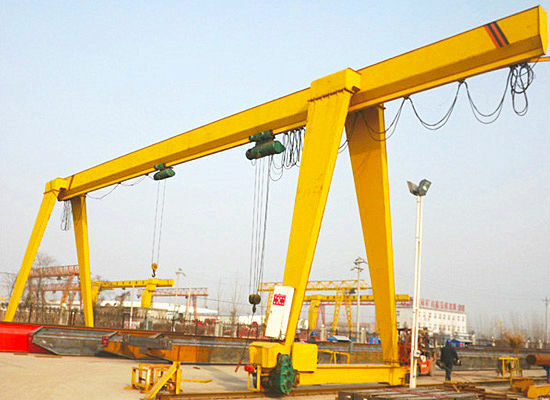 Due to its structure, the crane is usually used for lifting light loads. 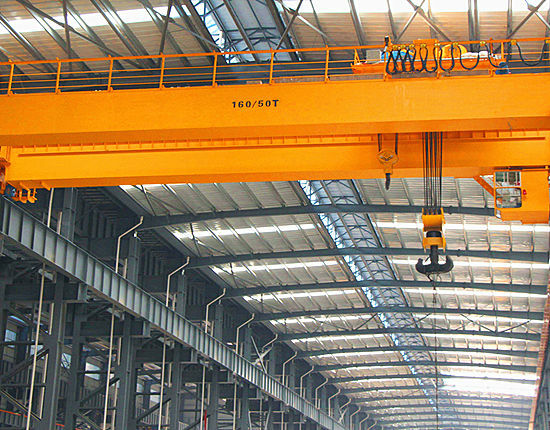 Other options of electric overhead crane include the capacity, work duty, lifting speed and control operations, which you need to consider to better suit your requirements. How Can Overhead Bridge Crane Benefit You? 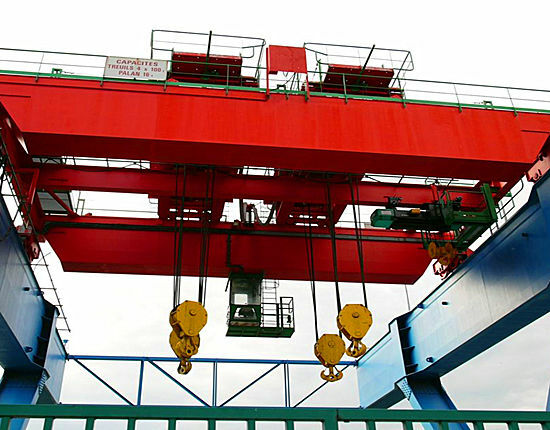 The over head crane is widely adopted in the industries to carry out material handling operations. It improves the efficiency of your business and production lines to a large extent and helps you to save cost. The high efficiency can be embodied in several aspects. 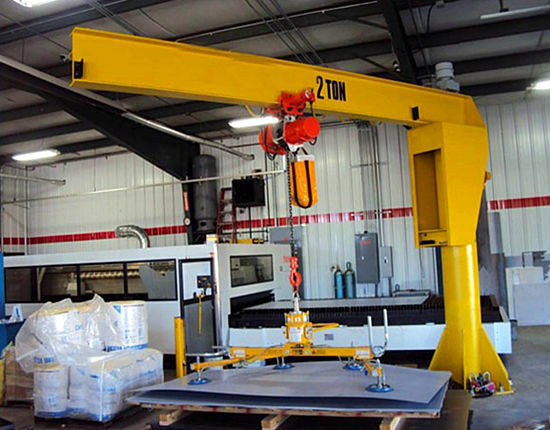 First, the crane overhead eliminates obstacles on the workshop floor without occupying the floor space as it runs literally “overhead” to move loads. Secondly, it can realize a wide lifting coverage thanks to its highly efficient use of the building space. Thirdly, multiple configurations are available to meet specific need of each customer without modification of the existing building, such as the building expansion, greatly saving the construction cost. 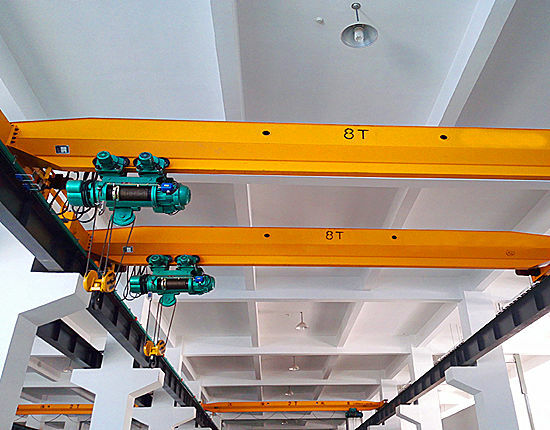 Fourthly, the overhead crane equipment can travel with higher speed and heavier loads compared with other lifting options, significantly enhancing the working efficiency. Finally, the crane is also a preferred option of material handling solutions to ensure safety, which usually adopts pendant control, remote control and cab control to improve safety. The overhead crane inspection is essential for the efficient operation and personnel safety, therefore a routine inspection should be done during each shift. Besides, a monthly inspection and annual inspection should be carried out in accordance with the workload of the crane and condition of the working environment. We provide an overhead crane inspection checklist for your reference: check the limit switch, alarm and speaker to see if they are in a normal condition; check the condition of wire rope, including the lubrication, rope connection and the degree of rope wear; check the condition of hook and its degree of wear, such as deformation and crack; check all the contactors and relays in the electric control box; check the lubrication of each part of the crane; check the motor, brake, wheels, bearing, safety devices, power system and some other parts to make sure they are in good working conditions. 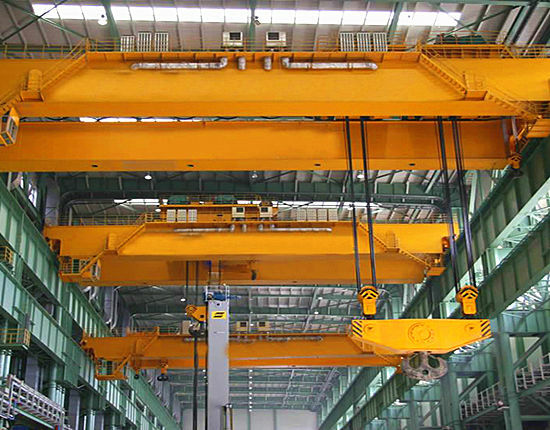 Among so many electric overhead cranes manufacturers and suppliers in China, how does Ellsen go beyond others? There are several things you need to know about us. Company size. 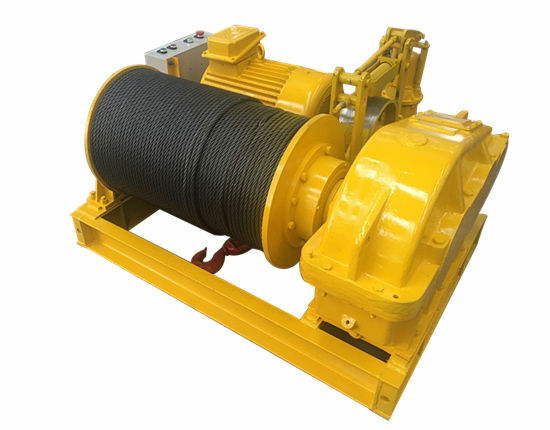 As the subsidiary of Aimix Group Co., Ltd, we are a large professional industry and trade integration enterprise in China, mainly engaged in manufacturing overhead crane, gantry crane, jib crane, electric hoist and winch. Our products have been exported to more than 80 countries and regions, remaining a stable growth in the global market year by year. Q We have a strict quality control system and quality assurance system to make perfection for every product and solution so as to ensure the interests of our customers. We also have embraced ISO, CE certificates. With over 10 years’experience in the industry, we constantly introduce advanced technology and equipment to keep up with the rapid changing market and also ensure the quality of our products. Focusing on the customer’s need, we have built an experienced technical team and invested much in the research and development, which enables us to provide the best solution for clients and create value for them. S We have formed a systematic service and are committedto providing high quality full service to every customer from the pre-sale solution design to the after-sale service. We can ensure a timely delivery and offer professional installation and maintenance to help improve the efficiency of customers as well as bring benefits to them. We are endeavoring to do better to make sure every section is reliable and perfect. Contact us to know more about Ellsen and electric overhead crane, and we also provide customized single girder electrical overhead crane and double girder overhead crane. Call us today to get the latest electric overhead crane quotation!